Convection cooking works by continually blowing hot air on the cooking food. In addition to cooking food more quickly, a convection oven can help you achieve an evenly baked loaf of bread that's perfectly browned on the outside and moist on the inside. Baking bread in a convection oven is simple, although it might take a bit of practice to get your recipe and bake time just right. Mix your bread dough according to the recipe you're using. Pay close attention to the amount of time the bread needs to rise, which is the same whether you're using a conventional or a convection oven. Preheat your convection oven to the temperature suggested in your bread recipe minus 25 degrees Fahrenheit. Most convection ovens have two settings. Use the convection bake setting to achieve the best results. Place the dough into a loaf pan and set the pan in the center of your convection oven, as this promotes even circulation of the air and, therefore, even baking of your bread. Bake the bread for about half the time indicated in the recipe you're using if the recipe is for baking bread in a conventional oven. Rotate the loaf of bread 180 degrees when you reach the halfway point of your baking time. Turning the bread halfway through helps prevent one side of the bread from getting browner than the other side, according to author Matt Pellegrini in "The Art of Baking Bread: What You Really Need to Know to Make Great Bread." Watch your bread toward the end of the cooking time. 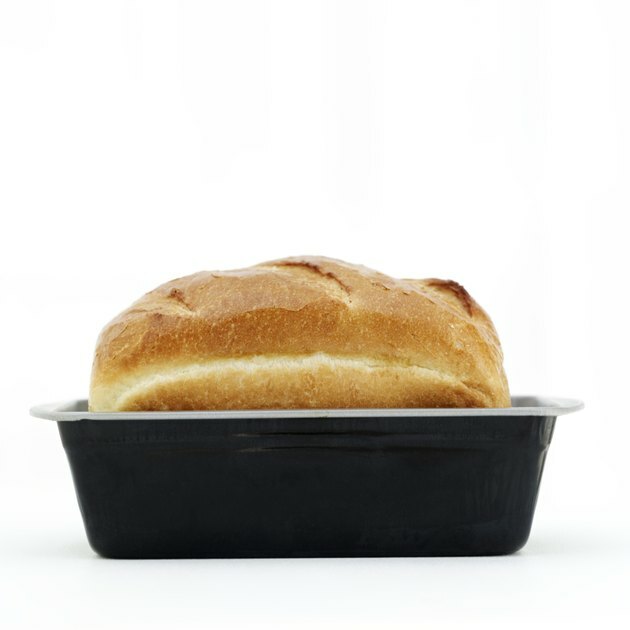 Most convection ovens cook foods quickly, which means that it's easy to let your bread bake too long. Most bread is done when it reaches an internal temperature of between 200 and 205 F. Use a chef's thermometer to check the temperature. Look for bread recipes specifically for baking in convection ovens. These are likely to yield better results than modifying a recipe intended for a conventional oven. Leave the oven door closed as much as possible because this keeps the temperature even and steady, which yields the best results. You might not achieve the desired results if you bake large loaves of bread in a convection oven because it takes too long for the heat to properly penetrate the dough. This means that the crusts might burn without the centers being fully cooked. Can You Bake on the Bottom Rack of the Oven if You Are Broiling on Top?